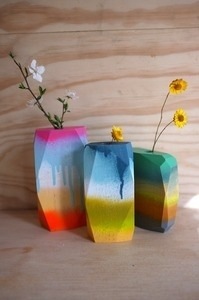 Stampel is the Swedish name of the design wares by Andrea (not sure of last name?) 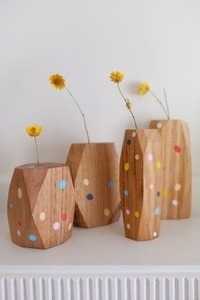 who creates gorgeous, colourful, sustainable wood pieces from Bendigo, and is well recognised in Melbourne for her vases in particular. They remind me of childhood for some reason – the colour looks like dreamy sweets! So beautiful. 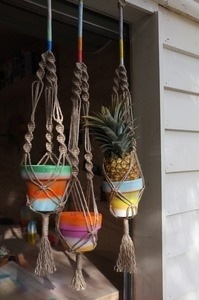 I also love her hanging baskets. Above images from her online store. 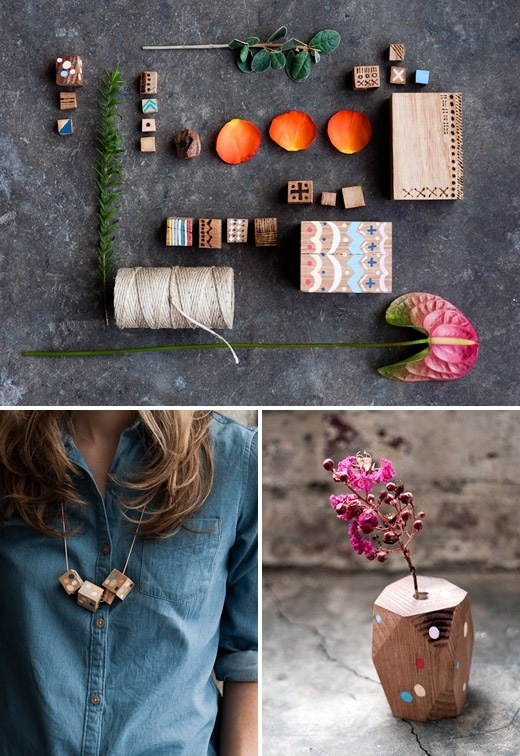 She also creates a variety of wooden pieces – necklaces, earrings, hangers etc… Above image by Olga Bennett on the Design Files.